The northern NSW town of Kingscliff balances its identity perfectly between seaside village and top tourist destination. The recently completed $21.2 million seaside park project adds much needed spark to the town, and gives locals and tourists alike, easier and safer access to the beach. 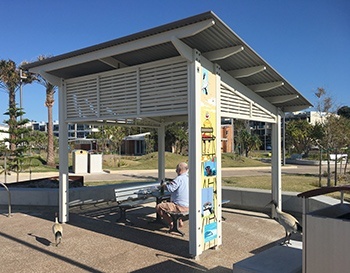 Nine Landmark skillion roof shelters are strategically placed throughout the revitalized foreshore, complimenting the broad grassed areas, palm trees, concrete sculptures and giving park goers views of the ocean. All cover either picnic settings or park barbecues. 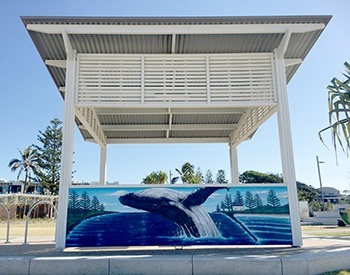 In fitting with the park’s artistic direction, each of the Landmark shelters includes ocean themed panels, some horizontal and some vertical, illustrated with various marine animals. 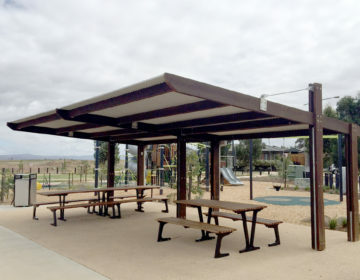 Landmark’s Peninsula shelters, built with timber, provide the perfect solution for the seaside, high salt location, with all fixtures being stainless steel (except roof screws which are hot-dipped galvanized). The inground steel leg brackets are Plascoated (silver) and the roof sheeting is Ultra grade Colorbond for extra protection. Each shelter was delivered on-site in kit-form, complete with engineers’ certificates, building application drawings and installation instructions. 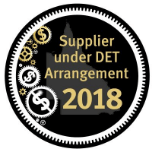 Tweed Head Council’s General Manager, Troy Green, said: “This will be one of the largest civil construction multi-part projects Council has undertaken. It is essentially three projects in one: foreshore protection, holiday park redevelopment and creation of the central park, including modifications to the community hall. 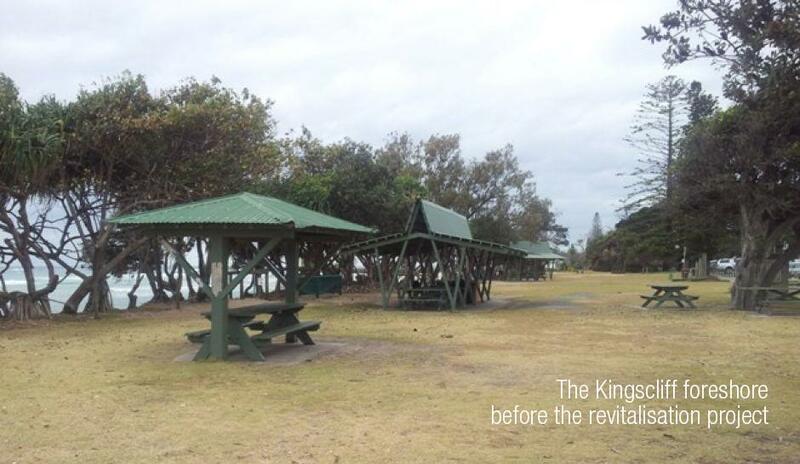 “The seawall will protect what we all love about Kingscliff – the beaches, open space and community assets such as the surf club, and holiday park,” Stewart said. “The creation of the Central Park will open up Marine Parade to the beach, allowing access for everyone and better views. 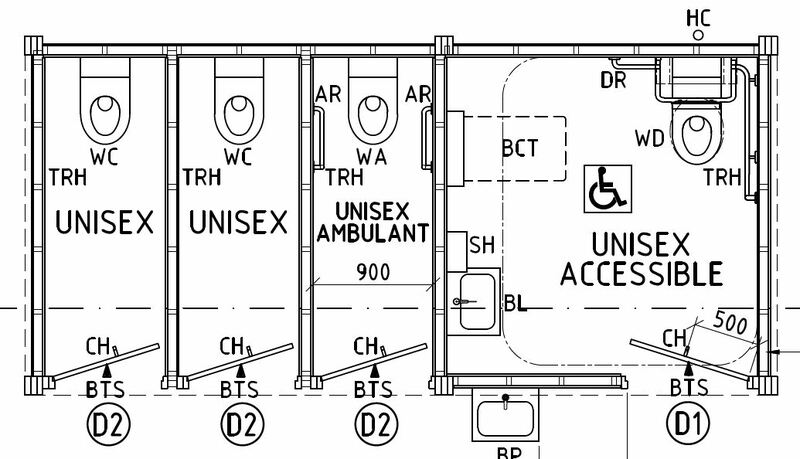 The progress of the project was photographed by the Tweed Shire Council and can be viewed here.